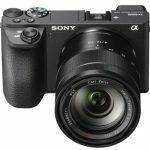 Home / Digital Camera Comparison / Sony RX100 III vs RX100 IV comparison, what’s the different? Sony is the “go-to” brand for cameras. If you are out on the market for a high-performance, budgeted, portable compact camera, the RX 100 series fits the bill. It garnered attention for the large sensor it packs in a small housing. And, it just gets better with every installment. The recently unveiled Sony RX 100 IV brings in a significant performance boost making it hard to choose between it and the RX100 III. Here we compare the two models for their features so that photographers can make the best pick. Sony hasn’t changed anything in the looks department. The design of the RX 100 IV is identical to its predecessors RX100 III. It has a compact size and sleek lines with a manual control ring around the lens. We cannot give the smooth matte finish a miss. The only difference is that it is heavier by 8 grams. Now that’s what we call a speed boost! It is almost 5 times faster than its predecessor. The processor is the same as the one used by the RX 100 III. It is the current generation BIONZ-X branded image process. 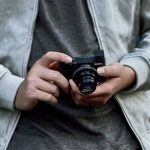 Sony has changed the exposure modes on the RX 100 IV. Instead of the dual Intelligent Auto and Intelligent Auto+ modes on earlier models, there is only a single Auto Mode. It adds the HFR mode for higher frame-rate capture. They also tweak the program, priority and manual modes. Earlier you could access the slowest shutter speed of 30 seconds in the priority and manual modes only. Now you can access it in the program and aperture-priority shooting. Making the camera more enthusiast-friendly is the range of scene modes, panorama modes and a Memory Recall mode. The program, priority and manual modes that you’d expect on an enthusiast-friendly camera remain, but there have been some tweaks here, too. 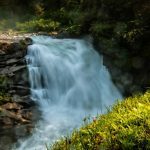 You can can now access the slowest shutter speed of 30 seconds in program and aperture-priority shooting, not just in shutter priority and manual modes as before. There are also a variety of scene modes, a panorama mode, and a handy Memory Recall mode to quickly set the camera up for a common shooting situation. The ISO sensitivity range offered by the RX 100 III and the RX 100 IV is the same. The ISO sensitivity range for still imaging is of 125 to 12,800 equivalents. It is extendable down to ISO 80 / 100 equivalents. For movie capture, the sensitivity range is the same. The lower end however cannot be extended. There is not much change in the sensitivity range, but the improvement in burst capture performance is 90%. The RX 100 IV is rated at 5.5 frames per second unlike the RX 100 III that is rated at 2.9 frames per second. So, to wrap up, the Sony RX 100 IV is good pick for amateur enthusiasts. It packs some amazing features for a compact camera you can carry in your pocket or stow in your backpack. On days with bright sunlight, it is best to use the widest apertures possible. The Sony RX100 IV has shutter speeds up to 1/32,000 of a second, which surpasses the RX100 III, which has speeds of only 1/2000, by an incredible amount. With wide apertures, you can even take pictured directly into the sun. It also allows for greater flexibility when it comes to varying rates of exposure during high-light conditions. Like the RX100 III before it, The pop-up electronic viewfinder with the 100% frame coverage makes the camera versatile without increasing the size of the device body. There are adjustments in the display. It ships with a brand-new Organic LED panel. The release switch is still located on the left side of the body. The dot count has been doubled moving up from 1.44 million to 2,359,296 dots. It translates to a higher pixel array – 1,024 x 768 – from the earlier 800 x 600 pixel array. It results in a 28% increase in linear resolution. 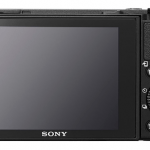 The RX 100 IV has a rear 3 inch, 4:3 aspect, Xtra Fine TFT LCD monitor. It is the same size and the same dot count (1,228,800) as the RX 100 III. While most compact cameras have the side swivel mechanism, the RX 100 IV is built with tilt articulation like the RX100 III. Thus, it can be tilted upwards 180 degrees (love selfies?) and downwards 45 degrees so as to work with different angles. There’s also WhiteMagic Technology for better viewing in extremely bright lighting. High-speed video is a standout feature of the Sony RX 100 IV. The new sensor allows you to capture 4K video. You can shoot up to 960 frames per second. With this feature you can shoot high-definition, slow motion videos. The resolution at 960 fps is 1024 x 768 and increases to 720p at 480fps and full HD at 240fps. Compared to the pricier RX 10 II which has a larger lens and a bigger shutter, the RX 100 IV is faster in terms of the continuous shooting rate. The RX 100 IV packs a modest 24-70mm f/1.8-2.8 lens. It is a 3x optical zoom. It is the same as the RX 100 III. The limited zoom range is a major drawback on the device as it fails to zoom long enough. Sony also drops in features such as Steady Shot for image stabilization for still images and Intelligent Active Steady Shot Stabilization to shoot movies. 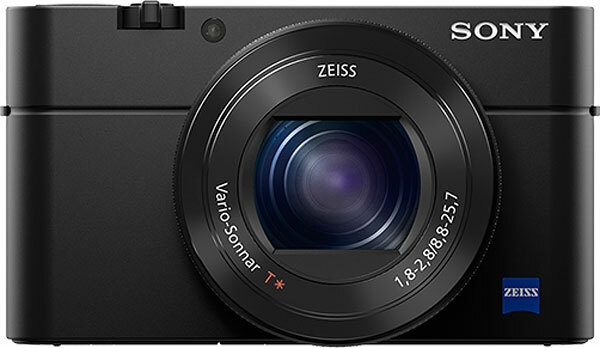 The Sony RX100 IV includes updated firmware that improve performance. This new model offers extra flexible spot autofocus capabilities and a new 5-second self-timer function. The longer 30-seconds shutter speed option now works in Aperture-priority and program modes instead of just shutter-priority and manual usage. More control over black gamma, black level, gamma, knee and other options can be accessed and tweaked in the profile settings. You will also get built-in Wi-Fi and NFC (Near Field Communication) wireless connectivity. It allows you to transfer image files to Android and iOS mobile devices. NFC enables open-touch pairing between the camera and Android. Using the Smart Remote Control, you can also control the camera’s shutter release remotely. The Sony RX 100 IV is powered by a rechargeable NP-BX1 lithium-ion battery pack. It is used across the RX100 series. According to CIPA standards you can get 280 shots with the LCD monitor and 230 shots with the electronic viewfinder on a single charge. It is good, but less than the RX 100 III (320 shots), RX 100 II (350) and RX 100 (330 shots). Both the RX100 Mk III and IV offer photographers the ability to take off some shots in all light settings with point-and-shoot ease of use. They both include a larger light and focus sensor which creates much sharper and more detailed images than anything you could get on your cell phone or older digital cameras. If you also shoot video with your pocket camera, you will enjoy the better autofocus, faster shutters and increased frame rate that can lead to higher quality clips. There are some drawbacks to this added functionality. Battery life is not as long as it used to be and the price has been raised to about $250. These negatives should be weighed against the positives for your particular camera needs. If you always shoots video and have more higher requirements, the RX100 Mk IV would be a good choice, it supports High frame rates and 4K recording. 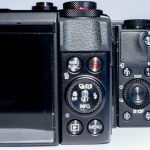 The slow motion the RX100 MK IV offers also is its main selling point! In the right lighting conditions it can produce beautiful effects. For the money, this is the best option currently available. By comparison, the RX100 Mk III allow this photographers to save money on the purchase. This is ideal for people who do not record videos very often and thus have no need for the advanced video performance attributes of the IV. Next How to Shoot In The Dark Without Using A Flash?